By Rachel Epstein for Denver Dialogues. NATO Secretary General Jens Stoltenberg at the 2015 Munich Security Conference. Photo via Munich Security Conference. Many prominent US foreign policy figures opposed NATO enlargement in the 1990s because they feared it would fan the flames of Russian nationalism (see Brown’s review of William Perry’s recent memoir). Russia’s anti-democratic turn, its aggression in Georgia and Ukraine, and its willingness to challenge US objectives around the world – including in Syria – would seem to confirm these critics’ worst fears. Given the ongoing debate about NATO enlargement, the West’s tense relationship with Russia, and at least one US presidential candidate’s threats to pull the plug on the alliance because he believes European members do not pay their “fair share” for defense, it is worth remembering what NATO has achieved in the post-Cold War period. The first Secretary General of NATO, Lord Ismay, allegedly said that the purpose of NATO was to keep the Americans in, the Russians out, and the Germans down. Metaphorically-speaking, it was the third of those precepts that turned out to be most important in the 1990s and after. Two world wars were initiated in Eastern Europe—not because the main aggressors resided there, but because the region was a security vacuum with weak governing institutions. NATO has sought to address both problems, with significant success. Research shows that NATO made three contributions to security and stability in Europe (and by extension for the US) through its enlargement policy (see studies by Gheciu and Epstein). First, in order for post-communist countries to join NATO, they had to resolve regional rivalries through peace treaties with their neighbors. This alone had a pacifying effect among countries with historically contested borders, diasporas, and sizable minorities, all against a backdrop of intense nationalism. Second, NATO pushed aspiring member-states toward democratic civil-military relations. Eastern Europe had little democratic experience by 1990 and therefore no history of democratic oversight of the armed forces. A common misconception is that Communist Party control over militaries eased the transition to democratic civil-military relations. In actual fact, however, Eastern Europe had a long-standing tradition of executive oversight with little transparency, accountability, or civilian military expertise that predated communism. So East European armies in the 1990s engaged in their own arms deals, church-building, and high-level political decision-making with little civilian or public scrutiny, including over defense spending. NATO reapportioned authority away from executives and enfranchised ministries of defense and parliaments. It also trained civilians and military personnel alike in the desirability of broad-based supervision, including by the media and civil society organizations. Third and probably most controversially, NATO provided this phalanx of small, weak, and historically vulnerable states its Article V security guarantee. There is evidence that enhanced security through NATO membership has undermined nationalistic policy and rhetoric that had depended on narratives of victimization, even if current illiberal governments in Poland and Hungary suggest that NATO (and even EU membership) have not been sufficient to keep exclusionary politics at bay. Nevertheless, the region is no longer the security vacuum that it once was, which might have confined Russian aggression to countries outside of NATO’s orbit. Whether one is persuaded by my interpretation of NATO’s effects or by critics of the enlargement policy depends on what the likely counterfactual would have been. Had NATO not brought in new members starting in 1999, would Russian politics have taken a radically different and more conciliatory – from a Western perspective – turn? 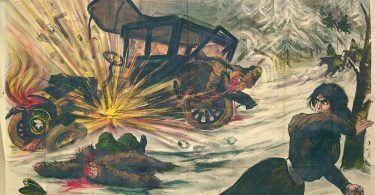 Would the difficulty of the transition in Russia, the continuing reliance on natural resources and concentrated economic power there, the country’s authoritarian tradition, Putin’s domestic appeal and peripheral status vis-à-vis European institutions, not have wrought the very same dilemmas that Russia and the West face today? I personally would rather live in this world, however imperfect, than the one in which the Baltic States, Poland, and countries all the way down to the Balkans are totally exposed without institutional cover (see also Goldgeier). NATO may or may not have kept Russia “out” over the last two decades. But by alleviating regional rivalries and strengthening East European states’ governing institutions, NATO has kept an assemblage of new democracies, not “down” exactly, but more secure, confident, and prosperous than they would have been if left to fend for themselves. 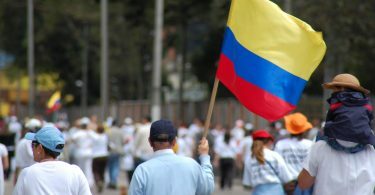 “Sí” o “No”: Who Supports the Peace Process in Colombia? I agree that the integration of the former Warsaw block states into a joint (security) architecture was and is a very important task. I also see that NATO played a role in here, but I think it is necessary to also discuss the alternatives. For states who for what ever reasons can not or do not want to become member of the EU, other instruments exist and even more need to be developed. It is especially important to find and develop integrative security architectures for the former member states of the Soviet Union. NATO expansion can not be the answer for these states. So the advantages of NATO expansion as compared to EU-integration are in my humble opinion minimal, while the disadvantages of expanding NATO till (and over) the borders of the former Soviet Union are a legacy and hindrance to develop a better Security Architecture for these states. I agree with Bjoernkunter that EU accession is a more likely cause for institution building in Eastern Europe. Also, dismissing the worrying trends in Hungary and Poland in a single sentence is a bit too casual for my liking. We find ourselves in the situation where we are treaty-bound to protect increasingly authoritarian regimes in Hungary, Poland, and Turkey. How comfortable we feel with THAT depends on if we see NATO purely as a mutual defense organisation, in which case it was stronger WITHOUT several of those new members (they have added only risks to the equation), or as an international relations tool with a broader scope including nation building etc., in which case the politics of the members should matter.